Amicia Glow: My Skin Care Routine. Part 1. My Skin Care Routine. Part 1. Tonight I have for you my first beauty related post and its all about my skin care routine. 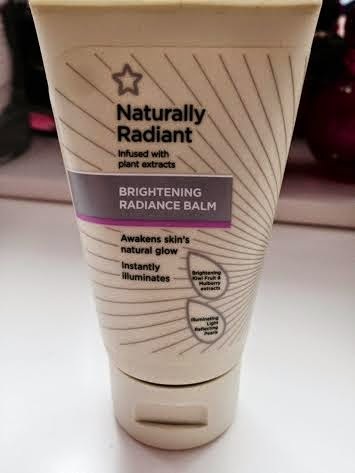 I've pointed out before: I am no beauty queen, makeup artist or expert by any means but I do love a bit of vanity and I like to take good care of my skin in particular, so tonight I 'm going to bring you my nightly skin care routine then next week I'll follow up with my morning skin care routine. This is my favourite part of the day to take care of my skin. Very recently I bought a new skin care range in Super Drug and these will be featured down below. 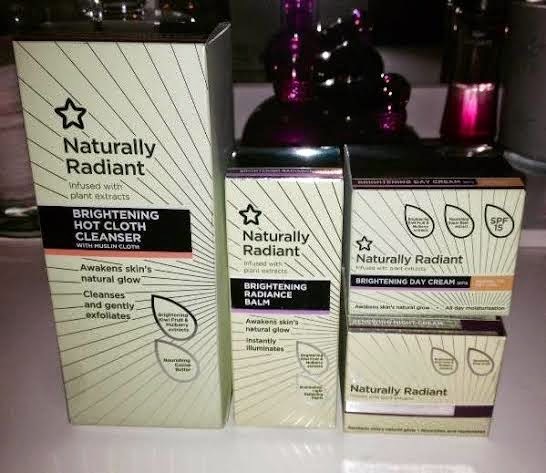 So I decided to give the Super Drug Naturally Radiant range a try. I only started using these 2 weeks ago and I will do a full review on the products I tried after I put them to the the test for at least a month and use them up which will be definitely happening with these little gems. Straight of the bat, I am loving them so far. They are outstanding value for money and isn't the packaging fab? They all come boxed and when I bought these they where 50% off but even at full price their still great value for money. Most of the range costs €7.15 including all the products I'm using but like I said I bought these when they where 50% off for €3.06, even better! So, first thing I do when I come home from work is (literally) when I'm in full swing, is go walking :) so when I get in from my walk at around 9pm my skin is practically begging to be cleansed and I really don't blame it, having a mask of makeup on since 6:30 AM and spent an hour walking at a pace where my heart rate is up. 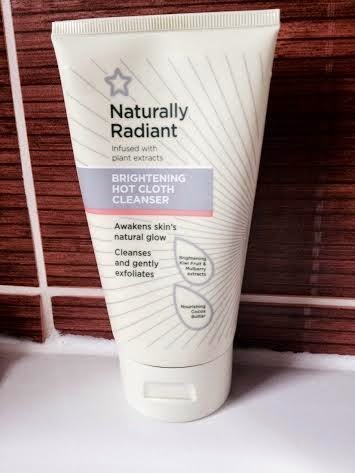 At the moment I'm using the Super Drug Naturally Radiant brightening hot cloth cleanser to cleanse my face. I LOVE this. I am the biggest fan of hot cloth cleansers in general and I've tried loads but this one in particular is my favourite and as I've already said it is outstanding value for money. I use a small amount of this, I rub it between my finger tips then in circular motions all over my face, neck and eye area. Its delicate enough to remove eye makeup.Then I take it off with either a hot soaked face cloth or the muslin cloth provided with the cleanser. 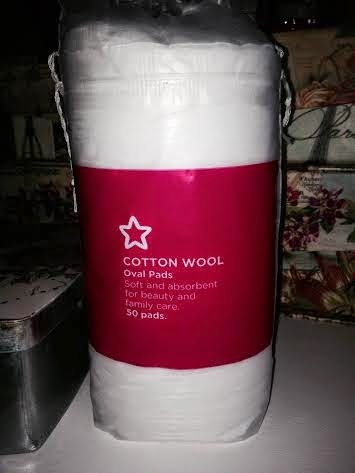 It says on the box to rinse the muslin cloth after every use but I throw them in the washing machine, after every use! They will stain and I don't feel rinsing them is cleaning them enough. You would be amazed at what you would see come of your face, especially if you where quite a bit of makeup like me. One thing I have discovered over the last couple years is that cream cleansers are definitely best for my very sensitive and dry skin for removing makeup. Much like the cream body washes I only stick to cream cleansers. I honestly don't think I could ever go back to face wipes or cotton wool cleansers having used hot cloth cleansers. 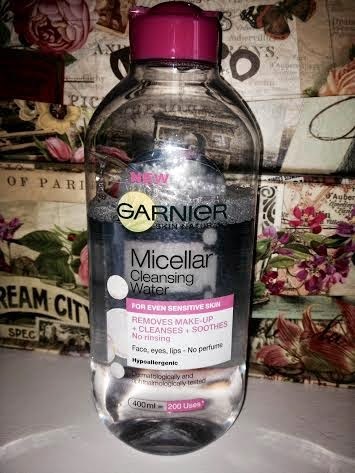 Then followed on from that I use the Garnier Micellar cleansing water. I'm not the biggest fan of toners they are either too rough on my skin or I just don't like the smell of them but this a perfect substitute! Its widely available, smells nice and works perfectly as a toner. This will remove any traces of the cleanser and makeup i.e eye makeup/mascara, and it will be visible on the cotton wool. 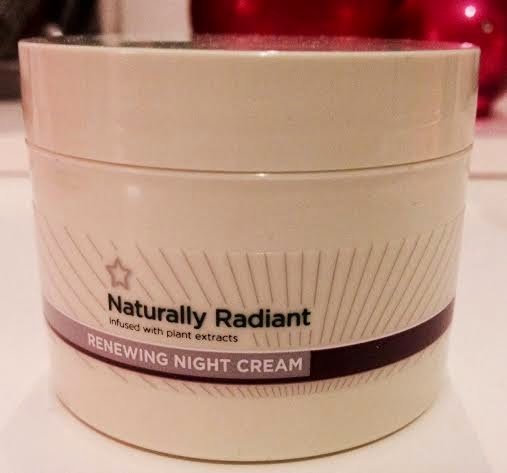 Next I use the night renewing cream. This feels like a proper treat on my skin it feels light and delicate. Again I'll review this product and let you know how well it works. Then I use a small amount of this balm. Now according to the box after one week skin feels softer and smoother. Skins feels more refreshed and energised. Then after 4 weeks skin tone appears refined and evened out. Now like I've said I only started using this 2 weeks ago and so far so good. 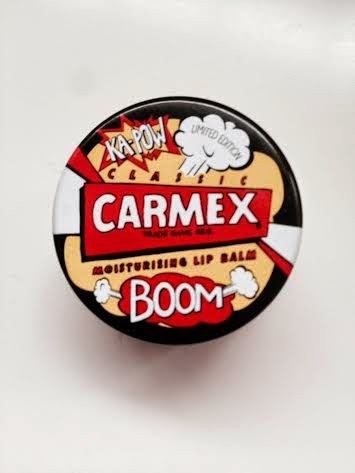 As far are balms are concerned this is certainly a goody. I use a small amount after I've applied my night cream and rub in circular motion all over my face and neck. For me its gives my skin that extra piece of hydration and feels really good. Its an antibiotic lotion for my skin to help clear a rash I have on my face and chest so I've replaced the oil with this. Sometimes my extra sensitive skin needs an extra boost to help clear it and a trip to the doctors for this is necessary. 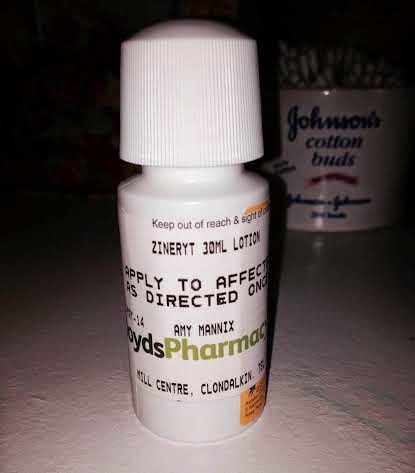 How this is applied is the top of the bottle has a cotton like piece in it that you use to apply directly onto the infected area. It stings a lot at first but it does work wonders. This is designed for adult acne. The rash is caused mainly by PCOS (polycystic ovaries) and my weight loss (my body detoxing constantly) but it is a small price to pay to get to my destination =). So there you have it. I hope you enjoyed reading this post and I'll have another one for you very very soon. 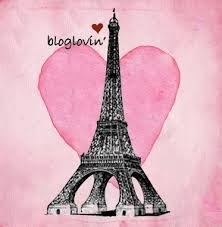 Good night and have a fabulous weekend! My Favourite Things. April Edition.